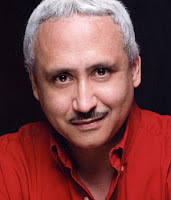 Manny Herrera, Voiceover Motivator, HOLA Special Projects Director, actor, director and voiceover artist will direct an advanced voice-over technique workshop for the experienced actor who wishes to fine-tune his/her technique. The workshop covers: diction and voicing in Spanish; interpretation and rhythm; and narration; professional audition and quick study techniques. Previous HOLA voiceover workshop students invited. Applicants should supply USB drive to record work progress. Optional production of demo tape available at additional cost. Actual voiceover copy will be used for this series. Small classes.